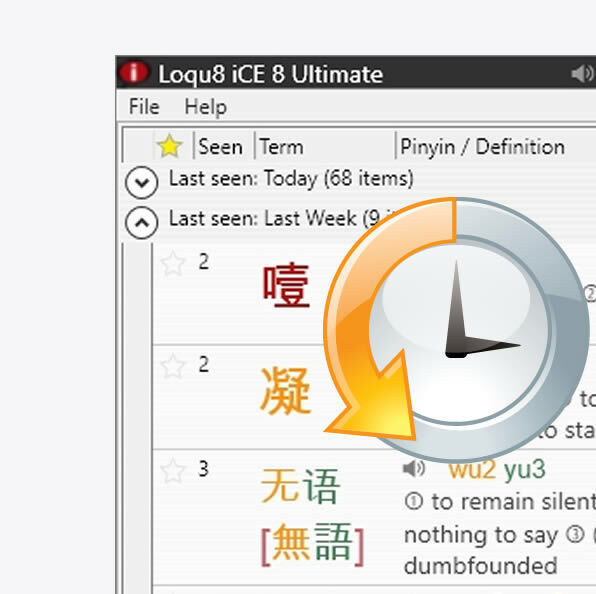 Type an English word(s) and Loqu8 iCE will search the entries in all your Chinese-English dictionaries* to find matching words and phrases. 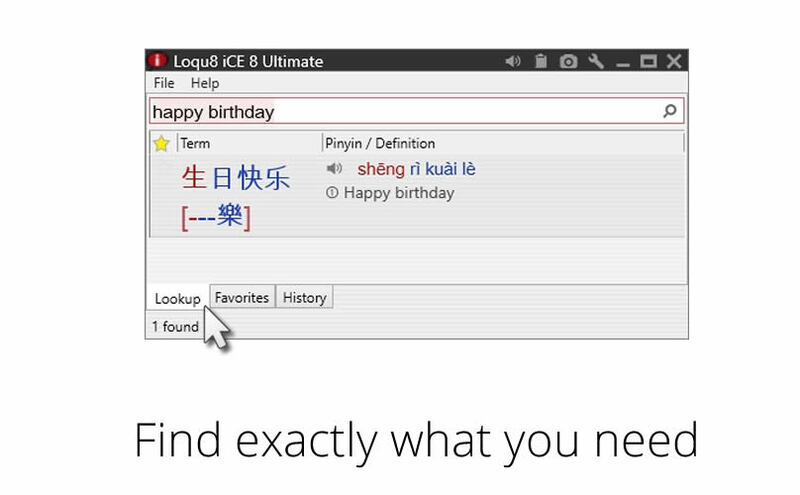 This powerful "reverse dictionary" lookup lets you find exactly what you need. 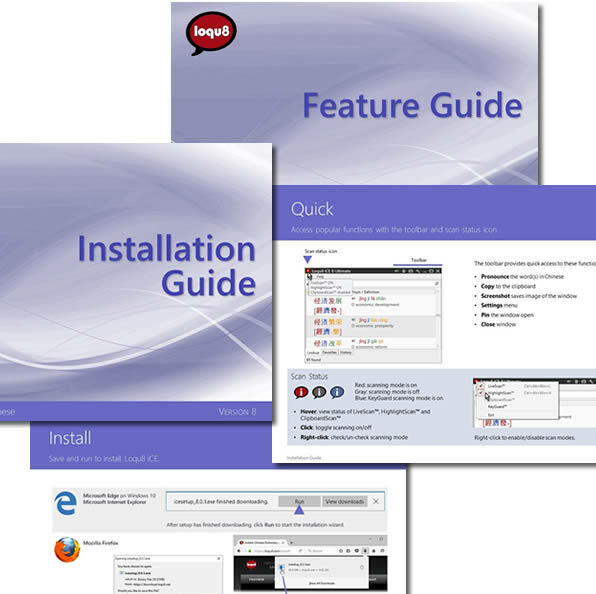 *Includes Premium, personal and other dictionaries. 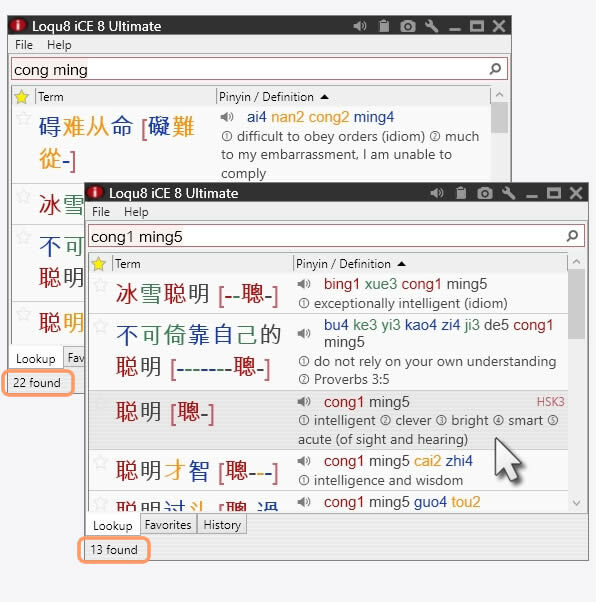 From the Lookup tab, type (or paste) any combination of English, Pinyin (with/without numbers), Simplified Chinese or Traditional Chinese. 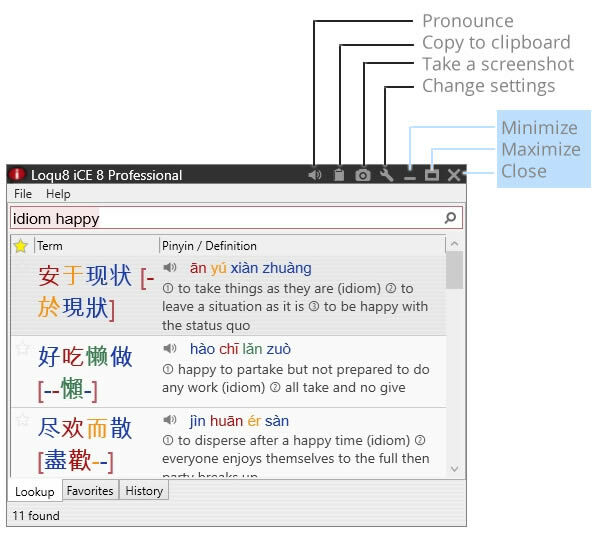 Find matching words, names and phrases from your iCE translation dictionaries. 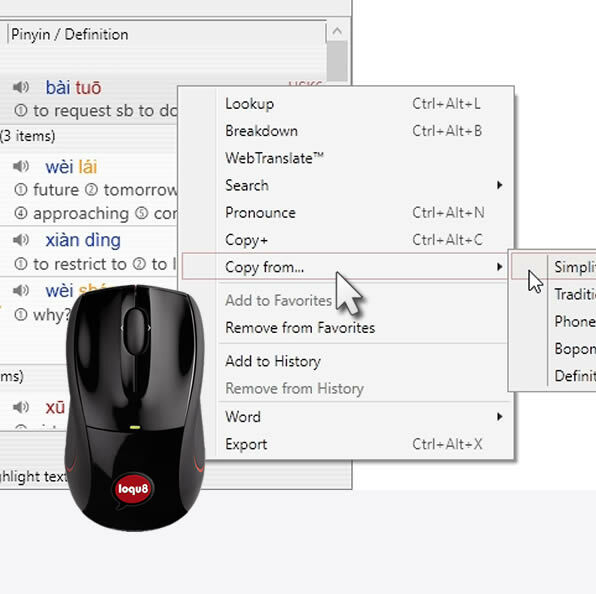 Save time looking up words much, much faster than traditional printed dictionaries. 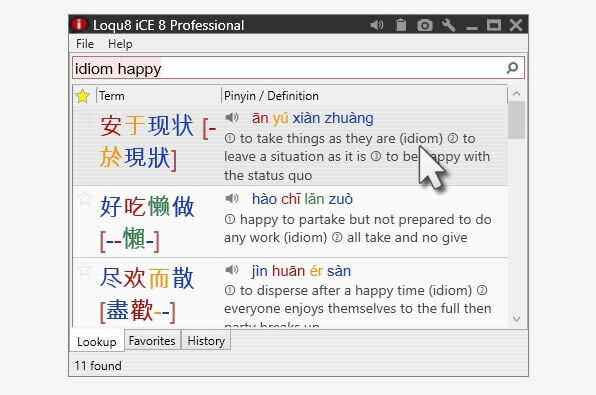 Unlike web-based dictionary sites, iCE dictionaries are installed on your computer. 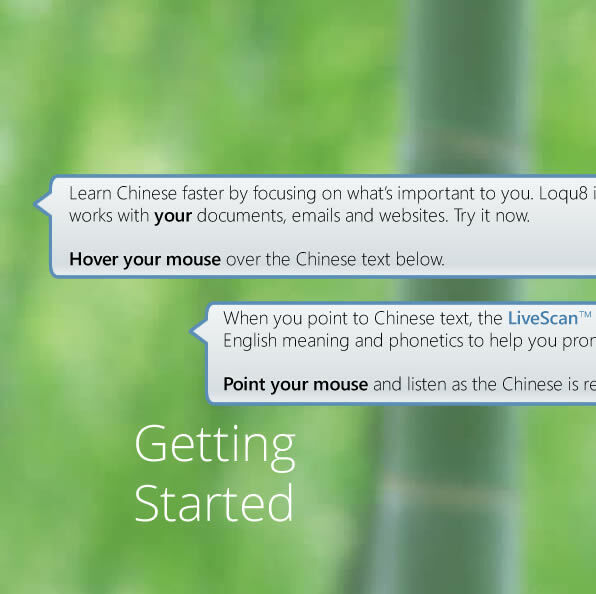 They're always available--even when the Internet connection is slow or unavailable. 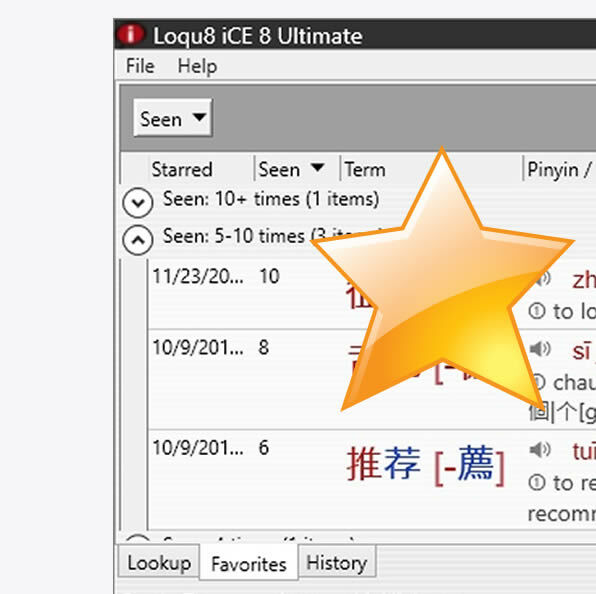 For performance reasons, iCE displays the first 900+ entries for any request. 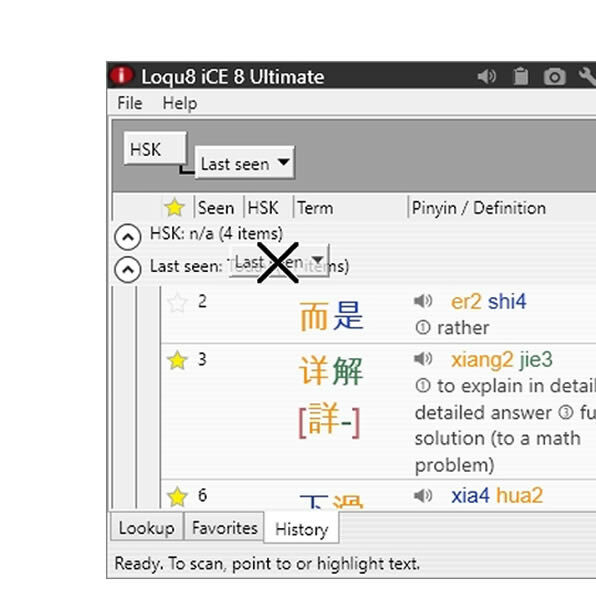 When your lookup request returns too many entries, add more terms or wildcard operators to refine and reduce the number of entries. 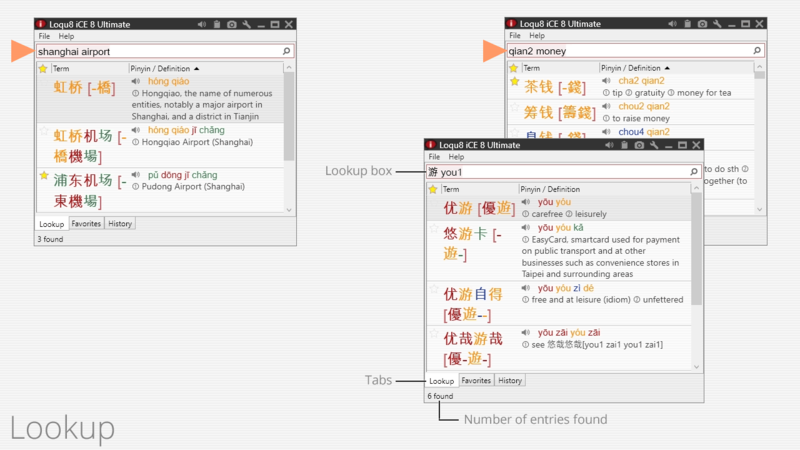 Find only entries containing both "shanghai" AND "airport"
Find entries containing "bun" but NOT "hair"
Find entries containing "bun" OR "pork"
At the top of the window, the toolbar provides quick access to common tasks.